My Name Is David Struve. On this site you will find digital vector art, music, short stories and much more - all created by yours truly. You will also find various promotions of competitions, and other talented individuals & groups as well as a digital copy of my CV / Resume. Hey guys! Just wanting to let you know - I'm currently in the process of moving this site again to a new domain with a brand spanking new design and layout. It should make things easier to keep track of and update - and be a tad bit more organised than this website currently is! It's going to take a little while to move all the content on here over, so I'll let you know when the process is complete and I'm ready to close this place down for good. Until then, keep coming back as I'll keep this thing updated on my progress so far :) Toodles and love!! David Struve. The DubStep Super-Producers Competition by Looperman.com is now closed, and the winner has been announced. And the winner is? ..... [drumroll]....ME!! Yes, you read that right! Yours truly is the honest-to-god winner of this competition! How utterly awesome and unbelievable is that?! This takes my total competition wins in my life to a staggeringly high TWO - yay!! I cannot wait to get my hands on the prize (3GB of loops and samples!!) and get started creating something awesome to share with the world! I just hope I can produce something that lives up to expectations and proves I was a worthy winner of the competition. WANT TO WIN BIG? 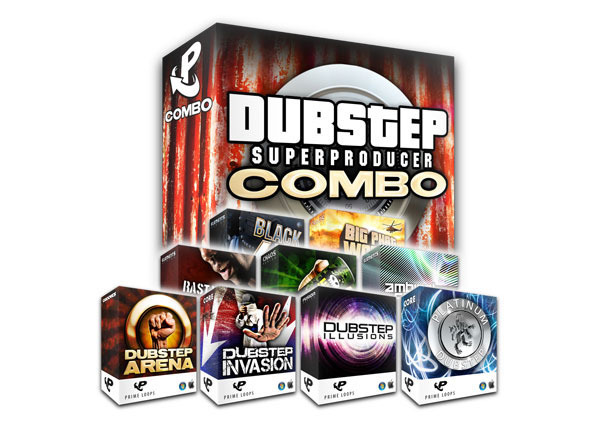 WIN A MASSIVE DUBSTEP COMBO PACK FROM LOOPERMAN.COM!! Yes that's right! Looperman.com are GIVING AWAY over 3GB of Dubstep loops worth £89.95!! Black SFX - Powerful 500Mb library of 180+ cutting-edge SFX Samples, feat. Sidechained Sweeps, processed Crashes, piercing Sirens, energetic Lasers, driving Impacts and much more! If you have already visited my site, you will have noticed a lot of it is still empty. I am working my rear-end off trying to switch over all the content from the previous site to this replacement one, but it will take some time. So I ask for your patience during this time. I hope to get the move finished completely within the next couple of weeks or so. Welcome to my newly created website! If you're new here, then you obviously won't know about the previous website I had as a personal-slash-portfolio site. To you, I'd like to say welcome visitor, and browse at your leisure! I hope you find something to your liking. Make sure to check back regularly to view my latest blog posting, photo or drawing upload or simply to check up on any new updates to the site! To those of you who have previously visited my "Von's Vault" site, I've kept the majority of information and available content the same - however, I've gone for (what I believe to be) a better design and I've had a bit of a tidy up in regards where things are and how they are laid out. I hope you like the changes!